Trump Divorces Lawyer Auctions Tell-All Book - Joe.My.God. The legal eagle who represented Donald Trump in both of his blockbuster divorces has written a tell-all book, Page Six has learned exclusively. Jay Goldberg — who has also represented Robert F. Kennedy, Bono, Diddy, Bess Myerson, Willie Nelson, Miles Davis, the Rolling Stones and Matthew “Matty the Horse” Ianniello of the Genovese family — is putting the publishing rights up for auction next week. 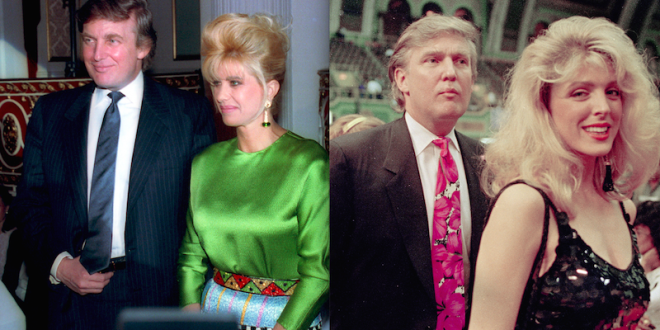 Goldberg — who, we’re told, tells “all the inside stories behind the trials” in the memoir — worked on Trump’s famous knockdown-drag-out battle with first wife Ivana, in which Trump tried to take back $10 million of the 1992 divorce settlement after Ivana trashed him in the press.